Proudly owned and operated by physical therapists. We provide quality orthopedic and sports physical therapy to return you to the highest level of performance in life and on the field. At Excel Rehabilitation our goal is to provide excellent outpatient orthopedic and sports physical therapy services for the treatment of musculoskeletal injuries. 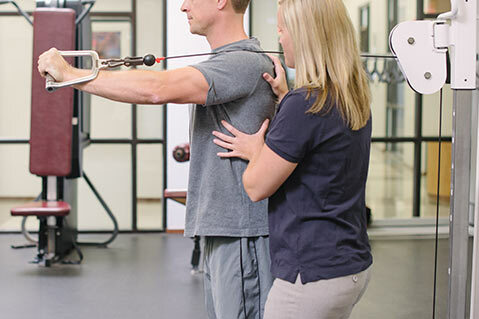 Our team of highly competent and caring licensed physical therapists works expeditiously toward the goal of returning an injured individual to the highest possible level of function and athletic performance. Our facility features private treatment rooms and a full-sized fitness center, complete with Nautilus machines, free weights, and a full line of cardiovascular equipment. At Excel we are 100% committed to patient care. In Virginia you can seek treatment from a physical therapist without having to first be seen by a physician or other healthcare professional. This can eliminate a delay in care and help get you on the road to recovery sooner. Your physical therapist is qualified to refer you to the appropriate physician and make recommendations on which ones best fit your needs. Read more about direct access. 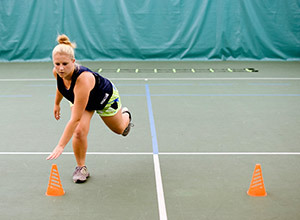 ACL injury prevention and performance enhancement. Sportsmetrics™ is a scientifically proven, six-week jump training program that incorporates proper stretching, special plyometric exercises, and weight training. It focuses on developing overall leg strength as well as improving balance in strength from the front to the back of the thigh. Offered by Board Certified Physical Therapists & Sportsmetrics Certified Trainers through Excel Rehabilitation at the Fairfax Racquet Club, your child’s school, or other assigned facility. Group/Team or individualized training available. A program catered to athletes recovering from an injury or surgery to ensure they are ready to return to sport.